eNPS Channel (“APY@eNPS) involves complete digital enrolment process. 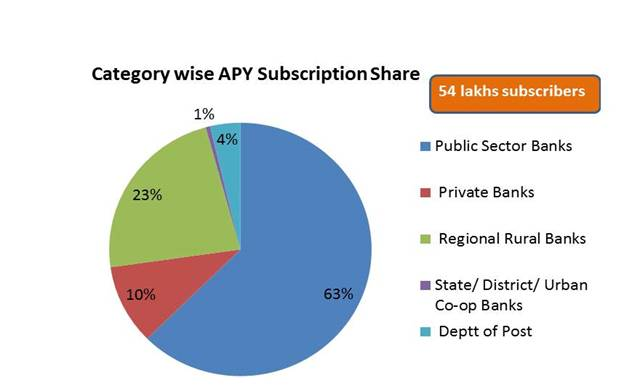 APY subscribers’ base is more than 54 Lakhs subscribers. APY fund managers have generated a return of 13.91%. Pension Fund Regulatory and Development Authority (PFRDA) has now introduced “APY@eNPS” which involves a complete digital enrolment process. This is the latest in the series of various initiatives taken by PFRDA for expansion of outreach of Atal Pension Yojana (APY), to give additional push to cover the as yet unreached population at greater ease. 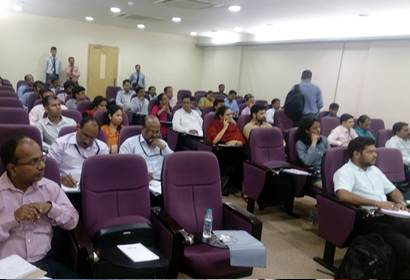 PFRDA has conducted meetings with Banks and Deptt of Post at Kolkata, Bengaluru & Mumbai respectively for the earliest roll out of the facility call. Shri A G Das, CGM, PFRDA recently addressed the meetings at Mumbai where IT department /Nodal officers of the Banks/Deptt of Post were present. 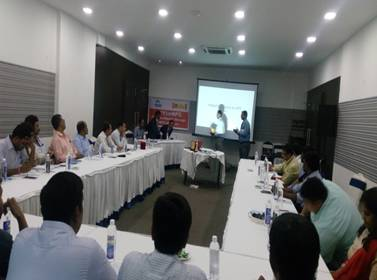 PFRDA had briefed about the benefits of APY@eNPS platform to the Service Providers under APY where more than 45 bank officials (IT officials/Nodal Officers) were present. The APY service providers have been briefed to develop APY@eNPS channel features before 30th June 2017. The APY was launched by the Prime Minister of India on 9th May, 2015 and became operational from 1st June, 2015. APY is available for all citizens of India in the age group of 18-40 years. Under the APY, the subscribers would receive a minimum guaranteed pension of Rs. 1000 per month, Rs. 2000 per month, Rs. 3000 per month, Rs. 4000 per month, Rs. 5000 per month, at the age of 60 years, depending on their contributions, which itself would vary on the age of joining the APY. APY subscribers’ base is more than 54 Lakhs subscribers. APY fund managers have generated a return of 13.91%. 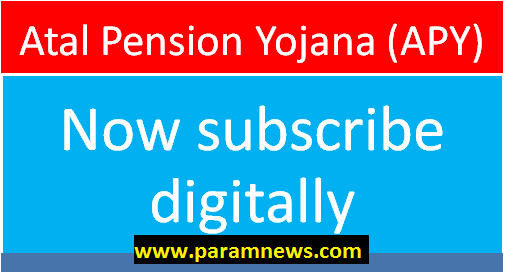 Atal Pension Yojana (APY) can now be subscribed digitally; eNPS Channel (“APY@eNPS) involves complete digital enrolment process APY subscribers’ base is more than 54 Lakhs subscribers. APY fund managers have generated a return of 13.91%. Pension Fund Regulatory and Development Authority (PFRDA) has now introduced “APY@eNPS” which involves a complete digital enrolment process.